my brother picked up more argon and i got to do some finalizing of my tiging of the charge pipe extensions. another picture of the cooler mounting. 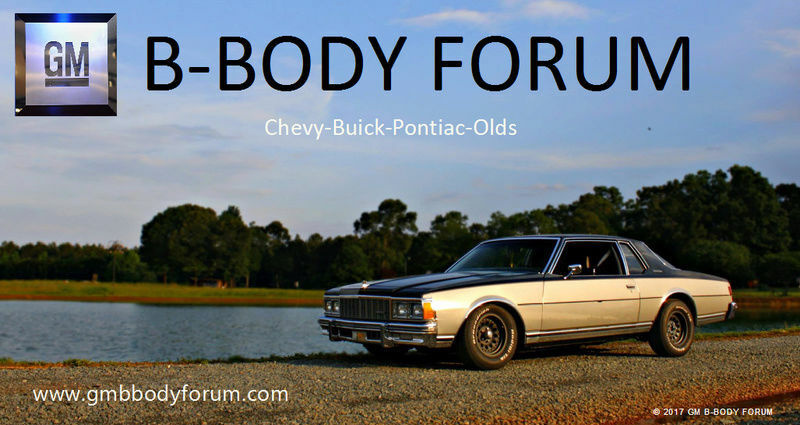 does anyone know if they ever sold a bumper valance for these cars? little better pic of the intake off the turbo. if only i could tig like him, hes done most of the tigging on this project and i know some of these dimes are gonna have people asking questions. might have to change to a shorter wastegate. this one just about goes through the hood. so well see what we have to do tonight as far as tinkering. this was before i moved around the 5 pipe to get the fitment right. when you have your own bone yard for your fleet you tend to get some of the most random but yet feasible parts for your projects. 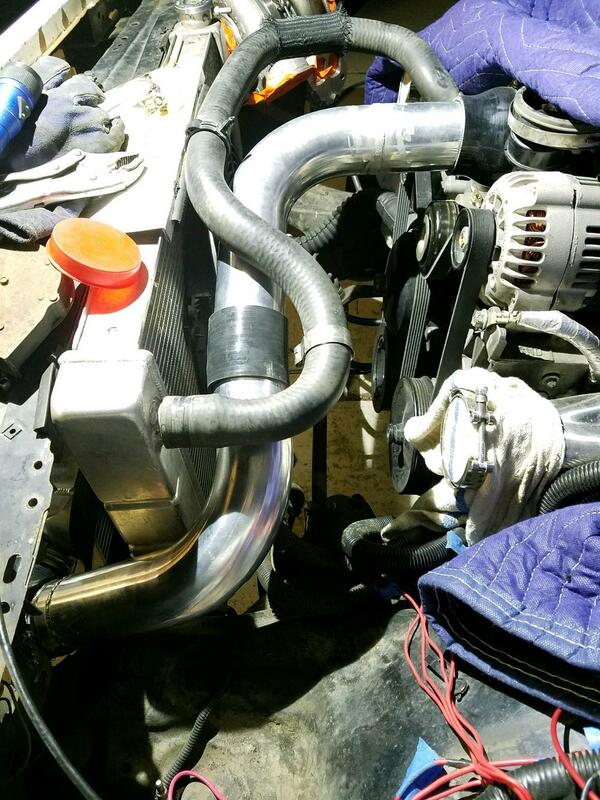 turbo is mounted, wastegate dump pipe is fabbed and mounted. were going to be changing to a turbosmart comp 40mm gate due to the height issue. did get the O2 sensors in and started plumbing the boost controller. should be able to drive it tonight. just need to get the down pipe assembled and secured for now. wanted to post this incase some of you dont know this trick. but i pored some crappy dirt filled coolant into this filtered funnel and it wouldnt come out. i recommend this to anyone at home to invest in some paint filters and use them when installing any coolant from an old container. i was going to vacuum fill my system but left my vacuum set at work. so this had to do for now. it runs and drives. Didnt get it hot enough to get the t stat to open, partially because of the tunning. I was able to take my little girl for a ride on her birthday. so it made all mine and my brothers hard work worth it. once the winter comes ill go back through the excess engine wiring and really do some cleaning and securing.